All of the information on our site is, and will always be, 100% free. 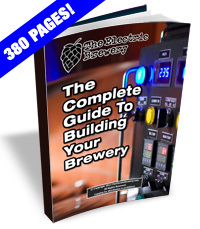 If you find it useful consider buying us a beer. You may also show your support by signing up to be a Club Member. Some sellers do not ship outside the USA. If you live outside the USA (like us), we recommend using a forwarding service such as Shipito. We've used them to ship to Canada. The good news is that shipping within the USA is very inexpensive or often free. You then simply pay a small forwarded fee plus the cost of whatever shipping method you choose (USPS, FedEx, etc). They will even consolidate multiple packages into one to save on shipping. We recommend USPS whenever possible to minimize brokerage fees. (c) Copyright TheElectricBrewery.com. All rights reserved. Legal Information.